Current WWE star Ronda Rousey and UFC fighter Alexis Davis had a heated rivalry that was eventually settled in an abrupt UFC title fight years ago, but Davis told Fightful's James Lynch that while she held a grudge for a while before deciding that she needed to be more supportive of other women in combat and entertainment. She says she paid more attention to Rousey's WWE career in the beginning, but now it's relegated to her seeing it when it appears on her news feed. Josh Rafferty is a name that longtime MMA fans will remember from The Ultimate Fighter, UFC and Bellator, but now seems to have more of a connection to pro wrestling. Rafferty was instrumental in training Jack Swagger for his first MMA fight, and has worked with Samoa Joe, Sheamus, Dave Batista and Bobby Lashley as well. Beyond that, both Brian Pillman and Roderick Strong spoke highly of Rafferty and shared our interview on social media, so he's well connected in the pro wrestling world. Rafferty said that he finished up his MMA career and actually trained to be a pro wrestler after. He would go on to move to Tampa to open up an MMA gym with Dave Batista and it led to him developing a great relationship with a lot of WWE wrestlers. One of those, of course, was the aforementioned Swagger. He said that Swagger's transition was smooth overall, but they had to get him back in the thick of competing on the mats again after twelve years off, and that it was tough when they started out. 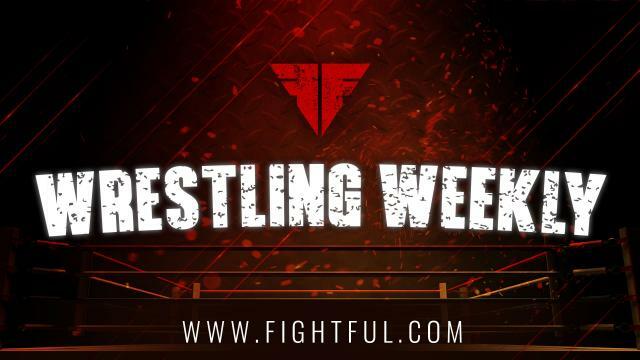 Last month, Fightful ran an analysis on WWE's popularity, which George Barrios touched on. In the wake of declining ratings, viewership and attendance, Barrios indicated that the most important thing to WWE was time spent watching the show. This is something that they can measure more accurately, and it was up by 8 percent in 2018 to 5.8 billion hours. The "free viewing" on Youtube, Facebook, Twitter was up 24 percent to 1.2 billion hours. Barrios blamed some of the "speed bumps" on injuries that WWE faced throughout 2018, which Fightful's Brandon Howard called into question. Conrad Thompson is bringing back Starrcast after frustratingly saying that he wouldn't do it again as the first one was going on. Conrad admitted he had a lot on his plate and had to learn on the go for much of the first outing. Several names that had calendar conflicts for the first go around are going to be there for the second one, as he told us that he wanted to make an effort to give fans something that they hadn't experienced during the initial Starrcast. I asked Tessa Blanchard about the role she played in the season 2 renewal of WOW on a recent media presser. She, in character, said that they should just rename the show after her. David McClane would go on to deliver a more serious answer to admit she was a big part of it, but the roster as a whole was instrumental in the renewal. Count American Top Team owner and former Impact Wrestling personality Dan Lambert among those who weren't big fans of Ronda Rousey using 'fake' terminology in effort to fuel a WWE storyline with Becky Lynch. Lambert said that he would have preferred Ronda Rousey take a different route with her words, and thinks that the Becky Lynch story line has lost steam in recent weeks. He did tell us, however, that he's rather enjoyed the Kofi Kingston build over the last month, and is looking forward to Randy Orton vs. AJ Styles at WrestleMania as well. In regards to an MMA-pro wrestling crossover that we always as Dan about, Lambert told Fightful's James Lynch that he believes Amanda Nunes would be open to filming a WWE vignette with an opponent of Ronda Rousey's. He also spoke highly of another Olympic medalist judoka turned MMA star in Kayla Harrison, saying that he thinks she would do well in a move to pro wrestling. He rounded out the conversation by informing us that Bobby Lashley had hoped to have a more MMA-centric character when he moved to WWE, including American Top Team. However, he isn't sure if there's any interest on WWE's side of things to make that happen. There was a ton of positive reception last week for Stokely Hathaway's WWE signing, as you could guess. Fightful Select reported last year that there were a lot of people pushing for him to get a job with the company, which obviously ended up panning out. His name was also pitched as being Paul Ellering's replacement for Authors of Pain, which ended up going to Drake Maverick. DJ Z and Robert Strauss were another couple of names that were met with a lot of happy faces and welcoming arms. Both of them are said to have good attitudes and are willing to adapt. We're told that their television experience is something that helped out their cases as well. Those we spoke to weren't familiar with Cal Bloom from a personal perspective, but it was extended to us that he has "mind blowing athleticism." The lay out of Tuesday's Smackdown was completely different on Tuesday than many were told on Monday, with the order completely mixed up. This is a far cry from Raw, which we were told actually had smooth production and timing. Things seem to have settled down after several weeks of timing issues. There was a little frustration on the side of some in WWE's design wing for putting the Finn Balor 'Demon' graphic for WrestleMania ahead of time. Thus far a 'demon' appearance hasn't been announced. I did inquire about Karl Anderson and Luke Gallows and the report that they were taken off of the road after passing on new contracts. A WWE source told me Monday afternoon "they didn't re-sign because they got benched, then they get benched because they didn't re-sign. What's in it for them?"